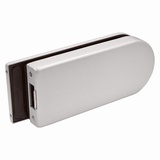 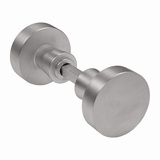 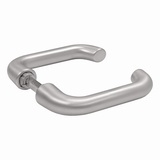 A popular range of heavy duty patch fittings with offset mechanisms for toughened glass doors 8-10mm and 12mm thick. 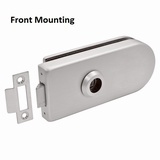 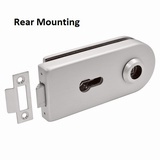 Where supplied, lever handles can be front mounting or rear mounting: the lever handles do not project outside the backplate when front mounting and overhang the backplate when rear mounting. 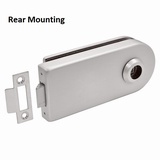 The mechanism is offset to allow compression of the rebate strip. 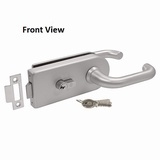 Why Buy from Miles Ironmongery?